Play Jungle Explorer online for free now! You have always been interested in archaeology and you are a seeker for treasures? 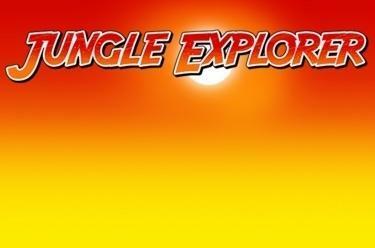 Then Jungle Explorer is just the game for you: You set out to explore the jungle as an adventurer looking for traces of a long lost civilisation. With some luck you find plenty of gold in their temples hidden deep in tropical swamp forests! Hunting treasures is easy as pie with Jungle Explorer: All you need is 5 matching symbols on one of the 20 win lines that run from left to right and your expedition is a great success! 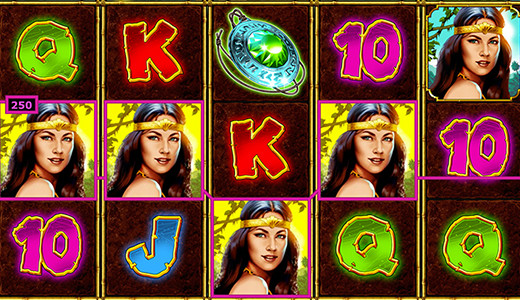 The adventurer is the Wild symbol that substitutes any symbol except Scatter, which triggers 15 free games with winning multiplier when it lands at least 3 times. In Jungle Explorer the reels are not spinning but the symbols fall on them from above. If this results in a winning combo, the symbols of this combo will be replaced by different symbols, which can lead to several winning combos during a cascade. 15 free games with double winning multiplier and the settings of the game that triggered the free spins will be activated if at least 3 Scatter symbols land anywhere on the reels. In case of a winning combo the multiplier is increased (max. 16 times) until no more winning combos land during a cascade. The win multiplier then restarts at x2. You receive additional bonus rounds when 3 or more Scatter land during the free spins.